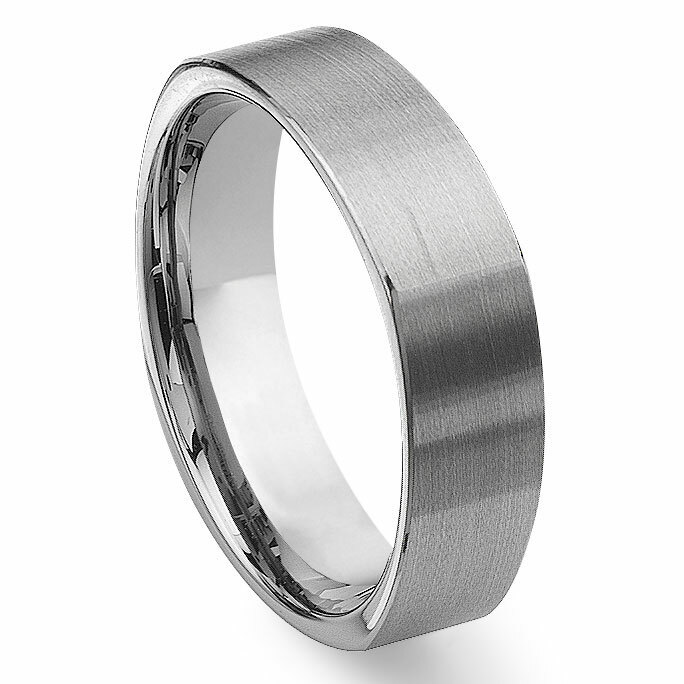 We offer one of our more distinctive men's wedding bands, this ring features an almost square looking ring. The part of the ring that rests against your finger is perfectly round and designed with our comfort fit technology, but through the use of innovative jewelry making processes, the outer sides of the ring appear as if the ring is square. This is sure to turn heads and leave people wondering about how the ring looks. This is also created to last a lifetime. 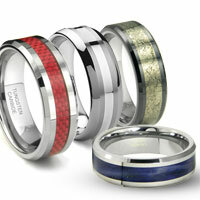 Using tungsten ensures the ring will not bend, crush, or break even under the most extreme circumstance. 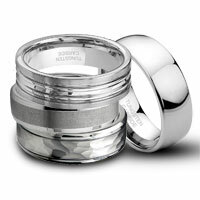 Tungsten is the ultimate in strength and durability, this is why it is used in so many areas beyond men's wedding rings. Don't forget our wedding bands also make great men's rings for dads, graduates, athletes, students, who deserve special recognition perhaps. Rating: 4.8 / 5 , based on 12 reviews. I recently purchased this ring to replace my original wedding band. I've been very happy with this purchase so far! I like that this ring is thinner than my previous Tungsten band, but still has a good, sturdy weight to it. My husband loves his ring and lost it so it was very easy to reorder since I had all the information from before. He loves the unique design. 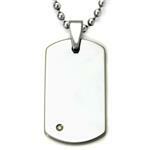 Tungsten material is amazing and very light and comfortable. 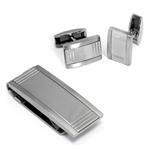 I am pleased with the service and the timely delivery of the product. My fiancee wanted a square wedding band and those are impossible to find. 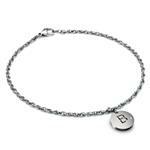 After searching all my local jewellery stores and coming up empty handed and I decided to look on line. Titanium Kay was the only store on line that had the ring I wanted and for the price I wanted to spend. The ring arrived in less than a week and looks great. Thanks!!! After spending a few months looking at white gold square ring s, I found titanium kay's version. It looked as good if not better than expensive brand name gold bands. 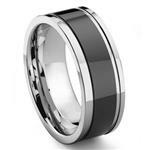 The tungsten ring is perfect and my fiancé was also very happy with the rings quality. I highly recommend this to anyone Looking for a unique inexpensive durable wedding band. 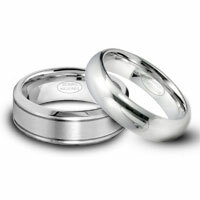 My Fiance was looking for a Tungsten square wedding band, but we could only find Titanium and Stainless in the stores. We could not be more pleased with the ring. We did have to exchange the ring due to size and the process was quick and easy. We definitely recommend Titanium Kay. I purchased this ring for my fiance as his wedding band. 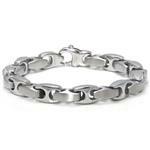 His ring dinger was measured a sixe 11 1/4 but after reading the reviews, I ordered a size 10. It fits perfectly and he loves it. He wanted something a little different so the square shape is a nice change from the usual round. We are pleased with our purchase and the price was definately a good deal. 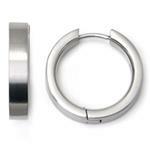 I read the previous comments abou this ring and I was hesitant to purchase. However, it was so hard to find a "Square Tungsten" ring I decided I would take a chance because their return policy is pretty good. When I got the ring, 2 days after I ordered it (fast shipping) it was exactly what I was looking for. It exceeded my expectations, the quality is high, it is square but comfortable, and it will be very unique. Go great your ring finger sized at a reputible jeweler and order that exact size! That's what I did and it fit PERFECTLY. I HIGHLY RECOMMEND THIS PRODUCT....oh yea, and the price....$99 ARE YOU KIDDING ME, THIS IS A STEAL! This ring is gorgeous, even better looking in person than on the website. 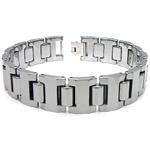 Lightning fast shipping and turn around time for exchanges. I ordered the ring on a Thursday and it was here on Saturday, sent it back on Monday for a larger size and had my new ring the following Saturday! Will definitely do business with TK again! Ring looks good, seems to be resistant to scratches. On the inside, 'nohe tungsten' is printed, but there is no mention of 'Tungsten Carbide' like I expected. The only thing I can find out about 'nohe tungsten' is that it appears to be manufactured by a company owned by the owner of this website. Regardless, the ring is very nice. I got my finger sized at 7.5 at a local jewelery shop, and it looks like the 7.5 I received is closer to an 8 or 8.5. This place is real. T-Kay has an amazing turn around time(~1 week) not the 1 month bull that the stores give you. The ring is perfect, great company. We ordered this ring in a size ten after getting my husbands finger sized at the local jewelery store. It arrived very quickly and was a beautiful ring, but was huge on his finger. There was not enough time to return the ring before the ceremony so we used it to be married with and planned to exchange it for a smaller size the next day. Later in the day the ring was gone from his finger; we should have know to take it off of him because it was loose, but of course he wanted to wear it through out the day. 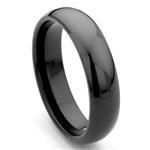 I suggest to those who pruchase this type of ring order it in a size smaller than you usually wear. This was our own fault (assuming the ring we were sent was actually a ten) and we could have avioded the loss, however, it did not deter us from odering relpacement ring from TK the next day. I couldn't believe how fast and efficiant Titanium Kay was! I ordered this ring for my fiance on a monday night and got it thursday morning. My fiance LOVED it. 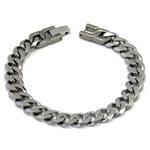 Its actually very durable and heavy. The price was the cheapest i found anywhere online or in stores. 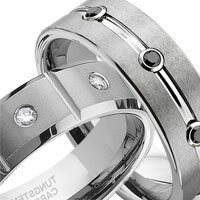 I would highly recommend this ring/website. You definitaly get the most for you money.